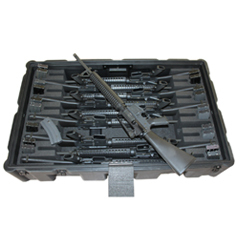 Medical Chest and Table of CP Cases is custom made for the transport and storage of medical devices in combat zones. 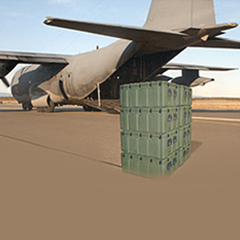 This Amazon storage case is used by forces such as the Polish military during their deployment in Afghanistan as part of wider NATO operations. 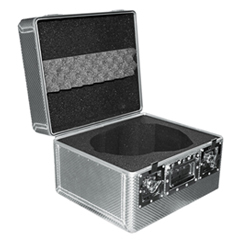 Based off a typical Amazon storage case, this variant was kitted out to prioritize weight reduction and stability in uneven environments. 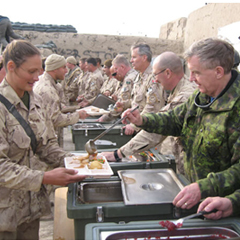 Needing to be possibly accessed in trying conditions or under fire, the design is a relatively simple one so as to enable quick and easy usage without compromising the sensitive cargo. 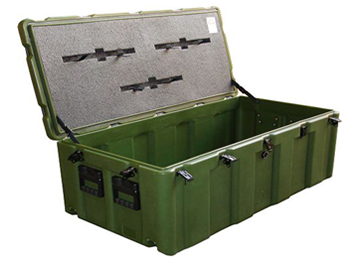 Our military storage chest is a range of rotationally moulded case that is available in standard sizes. These are used for storage of medical devices globally by armed forces, military tested and certified to MIL-STD-810F.